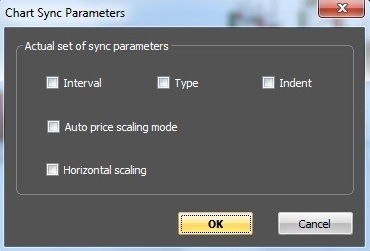 On each chart where the user wants to enable Sync mode, that mode is enabled from the context menu of the chart or through “Chart” option of the main menu by “Sync mode” command. A synchronization marker and a vertical aiming line that correspond to the synchronization time, appear on the live chart. 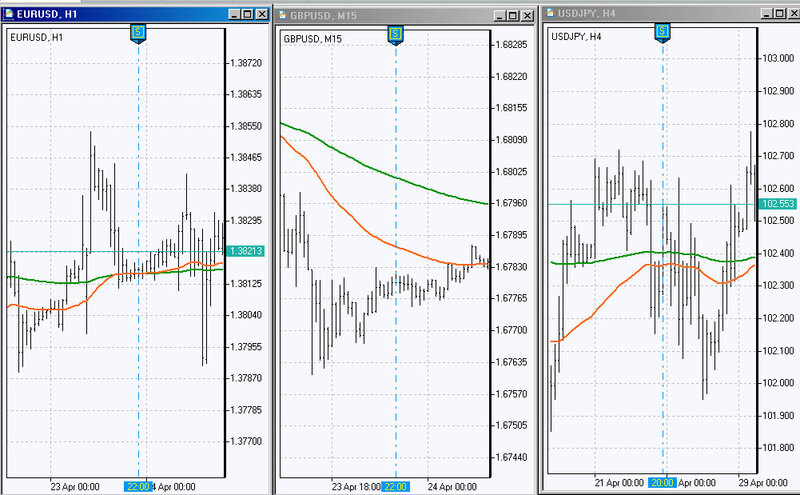 Sync mode on the live chart can be disabled from the context menu of the chart or through “Chart” option of the main menu by “Finish sync session” command. The operations, related to Sync mode, are performed through the context menu, called by right-clicking on the aiming line. “Center”: “local” – centering of the aiming line on the live chart window; “global” – centering of the aiming line on the windows of all charts.